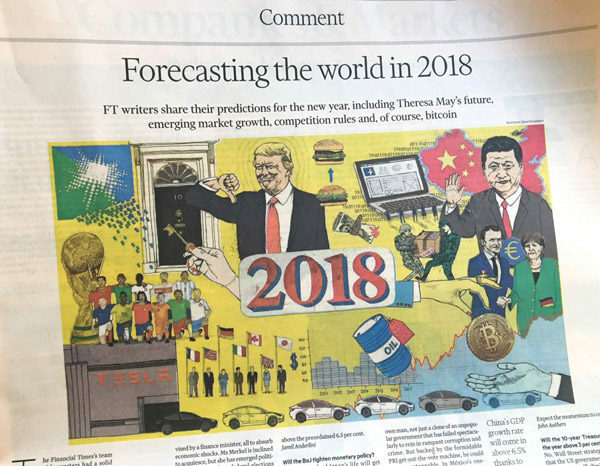 A recent illustration carried out over Christmas for the Financial Times: predictions for 2018. 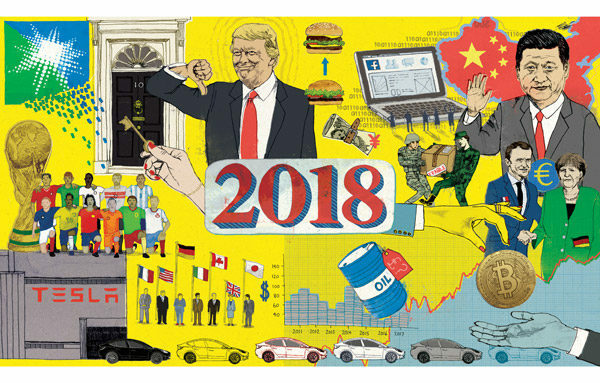 David Broadbent is an illustrator. He resides on the south coast of England, with a wife, children and a whippet. He has worked for the last 15+ years creating all manner of illust… Show more. Send a message directly to David Broadbent. David Broadbent is an illustrator. He resides on the south coast of England, with a wife, children and a whippet. He has worked for the last 15+ years creating all manner of illustrations for anyone who might want one. Editorial and publishing illustrations are those he most enjoys, he is currently illustrating childrens books and drawing on various unsuitable surfaces. Please feel free to contact him or me. Clients: Ivy Press, Orion Publishing, Bloomsbury Publishing, The Guardian, Grand Designs Magazine, Tesco, The Independent, Sunday Times, UK Greetings, Oxford University Press, Virgin magazine, Quarto, Rouleur magazine please get in touch for more.